(Ottawa, Ont.) At the end of the U22 European Championship, teams from Turkey, Great Britain, Germany, Italy and France were successful in securing their trips to Toronto this June. 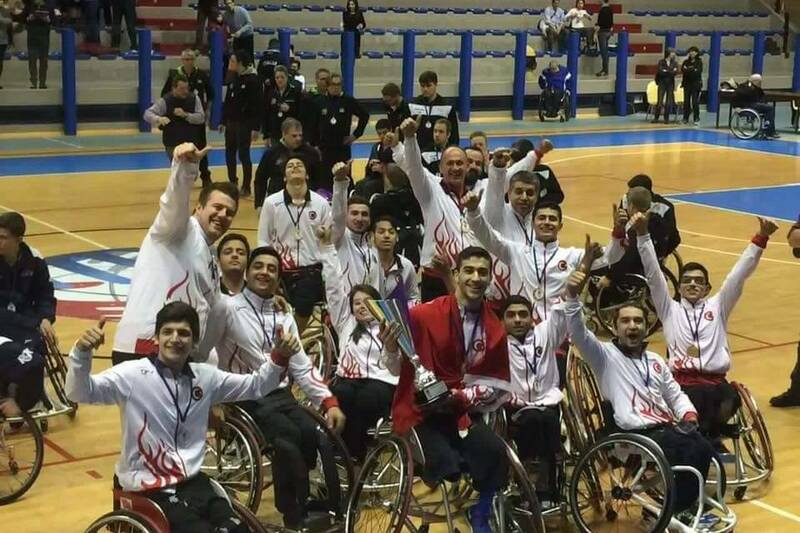 Last week, eight wheelchair basketball teams from across Europe made their way to Lignano Sabbiadoro, Italy, to compete in the tournament. From January 9th to 14th the European players vied for the top five spots, aiming to qualify for the 2017 IWBF Men’s U23 World Championship. Turkey played their way to first place after defeating the defending European Champions, Great Britain, 53-38. Host Italy lost 60-31 to defending World Champions, Germany in the bronze medal match. Finally, France claimed the fifth qualification spot with a 60-30 win against Israel. These European teams will be five of 12 teams, including host Canada, competing for the world title at the IWBF Men’s U23 World Championship from June 8-16 at the Mattamy Athletic Centre in Toronto. Qualification tournaments for the Men’s U23 World Championship will continue throughout January 2017. The International Wheelchair Basketball Federation (IWBF) is the governing body for wheelchair basketball around the world. IWBF is a non-profit organization whose purpose is to provide opportunities for persons with a lower limb disability to play the game of wheelchair basketball. For more information, please visit www.iwbf.org.